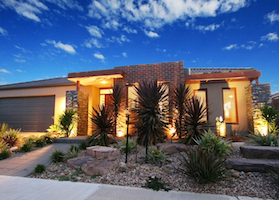 For homeowners, landscape or design lighting is a beautiful way to showcase your home at night. Friends, family and neighbors will notice a difference. Not only will your home look fabulous with lighting that sets the certain mood you want to create, it will also keep your family and those visiting, safe. 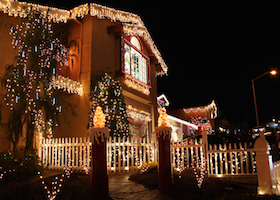 Lighting for the outside of your home can be personalized to the type of ambiance you want to create. Whether you want ground lights to line the pathway up to your home, flood lights to accent certain features, lights hung along the side of your home, lampposts, or hanging lights, there are many options that you can choose from that will best fit your style and lighting needs. What components of my landscape need illumination? Does your backyard have a beautiful garden? Does your patio have intricate stone work? There are many different lighting techniques that can help illuminate these unique features. The two most popular lighting techniques used are down lighting and uplighting. These approaches refer to the direction of the light. With downlighting, the selected fixture is placed in an elevated spot and directed downward to light the area below it. This technique provides a soft glow to any landscape feature. Uplighting provides a much brighter glow and can be achieved by using flood lights or spot lights. 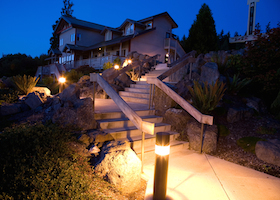 Don Hegge Electric will help you with any and all of your landscape lighting needs. Our electricians are experienced and ready to transform your landscape by assisting you with your lighting installation demands. Call today and schedule an appointment!